The final piece for your fixed gear bike is here, and it's made from a solid piece of walnut. 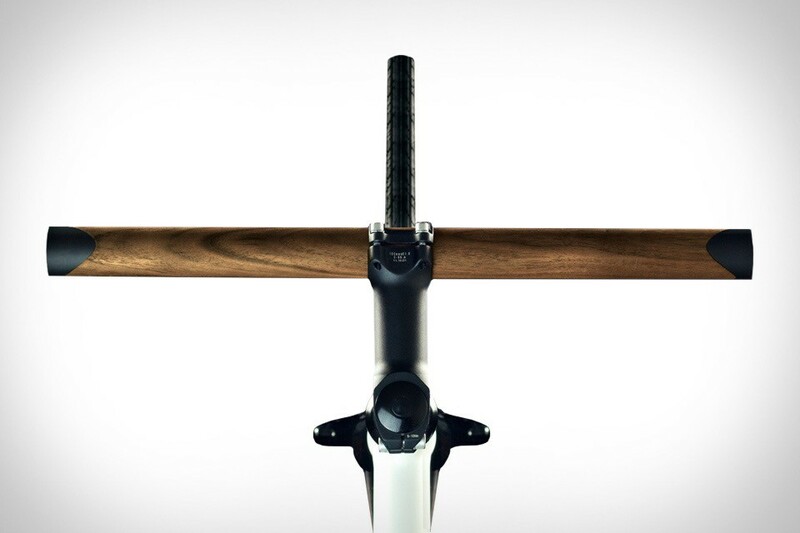 Each Lenkr V1 Wooden Bike Handlebar features a solid aluminum core and a unique look thanks to the natural wood grain. It also boasts end caps made of anodized aluminum and weighs only 285 grams, making it great for everyday biking. The premium-grade walnut is finished with a special varnish and is sure to give any bike a timeless look that will show beautiful signs of wear. The result of a collaboration between South Africa's preeminent bicycle frame builder Duncan MacIntyre and composite expert Anton Dekker, the Dutchmann Vicious Bike is a truly elite ride. The frame — designed by MacIntyre for competitive cyclists in the '80s — is hand-brazed from Reynolds 653 and Columbus steel tubing, while the custom tri-spoke wheels are crafted from high-end carbon fiber composites. Other components are supplied by trusted companies like Campagnolo, Vredenstein, and Brooks. Limited to just 10 examples. Yep, the song will be stuck in your head for the rest of the day. But even former Beatles would appreciate the quality of the Y.Co Yellow Submarine. Built by the mini-submarine masters at GSE Trieste, the VAS 525/60 (its technical name) is over 27 feet long, can drop down to 160 meters, and can hold up to five passengers, or at least half of the people hanging out on your yacht. The fact that it looks just like the title object from an iconic song? A total coincidence, we're sure. The organic pattern on the frame will get your attention, but it's the fit that will keep you riding. The ElevenTwentySeven Erembald Bike is manufactured fully out of stainless steel using laser-cut technology that allows the saddle and steer to be fitted to the rider's specific dimensions, eliminating the need for a stem or seatpost. It also features Tektro brakes, a Sturmey Archer cranks, Pure Fix gold wheels, and a Csepelroyal Puhos Saddle. Limited to just 50 units, each of which will feature the owner's name laser-engraved in between the integrated bike lock. Designed for the urban rider, the Shinola Detroit Arrow Bicycle is a great way to upgrade your daily commute. This single-speed ride starts with an all-new TrueTemper steel frame design, made by Waterford Precision Cycles in Wisconsin. It continues with color-matching components like Tektro brakes, Sun CR-18 rims, and Shinola leather saddles, and is finished with cork grips, a Shinola chainguard, and Continental Contact Reflex tires, all hand-assembled in Detroit. Available in black, white, or a nickel-plated edition limited to just 25 bikes. Most motorized skateboards are easily identifiable, thanks to the large motors strapped to their decks. The Inboard Monolith Skateboard is nearly indistinguishable from a traditional board, thanks to powerful, patented in-wheel motors. 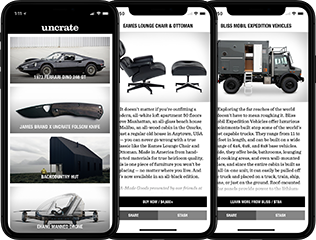 Other features include a unibody deck, swappable battery packs, the ability to charge both the board and the remote at the same time over USB, regenerative braking, integrated lights on the nose and tail, a companion app that connects via Bluetooth LE, a top speed of 24 mph, and a range of 10 miles. Laden with sensors and integrated tech, the Vanhawks Valour Bike might be the smartest ride on two wheels. Its blind spot sensors keep an eye on your surroundings, detecting vehicles and other potential hazards up to 10 feet away and alerting you via vibrating handle bar grips. The handlebars also feature LED indicators to indicate your route, supplied by a companion app that tracks your ride metrics. Available in white or black, with white, black, or red rims.